Attending European Schoolnet MOOCs means not only to have access to high-quality materials and resources provided by course leaders, but also to have ample opportunity to learn from peers. Peer supported learning is beneficial for all the participants because it presents a highly personal perspective of knowledge sharing. 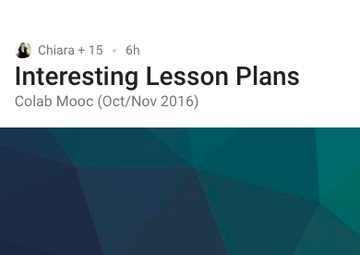 Chiara Torchia, a teacher from Italy, has come up with a fantastic idea to set up a repository of Interesting Lesson Plans. All the course participants are invited to share their lesson plans with their course mates. In the repository there is already a great number of inspiring lesson plans that all of us can use and adapt to our own teaching context. Don't hesitate to share your lesson plan! Inspire and be inspired! Below is a growing list of my course mates' learning diaries. Chiara Torchia's Learning Diary Collaborative Teaching and Learning is a wonderful source of deep reflection on teaching and learning. Chiara explains how she promotes collaboration in her classroom and how she enhances collaborative skills with her students. Her replies to the questions posed in all the modules are deeply reflective and very inspiring. In her Learning Diary Collaborative Teaching and Learning Ana Ribeiro shares her views on collaborative teaching and learning practices. Ana has created a number of wonderful mind maps to visualize concepts and ideas from the course. Ana also shares her experience of a project, World Day of Values, that she carried out with her students. You can read more about it on her Class Blog. Maria Rita Pepe shares excellent ideas and reading materials in her diary Collaborative Teaching and Learning. I especially liked The Jigsaw Classroom because it is a very helpful resource for planning how to equally involve all the students in collaborative activities. Rosa Luisa Gaspar writes an inspiring journal where she shares lots of ideas and examples from her own classroom and her amazing eTwinning projects: Collaborative Teaching and Learning. I especially liked ideas for circletime activities and the motivational video Wisdom of Geese. In his diary Collaborative Teaching and Learning, Nicola Spoto shares his thoughts and musings about important aspects of collaborative learning. He is somewhat skeptical about collaboration because it doesn't always work the way he wants it. I can easily relate to that because I've been trained to teach in a traditional, chalk and talk way. However, taking part in this course means that we're ready to learn how to effectively implement collaborative activities in our classrooms. Collaborative Teaching and Learning - Notes from a 21st Century Teacher by Carmen Carella is a treasure trove of different resources for collaborative classroom and for creative teachers. I especially like The Six Stages of Collaborative PBL and her detailed account of Mystery Skype in her classroom. In his Learning Diary, Danijel Forjan shares his thoughts about collaboration from his own experience. Being such a versatile teacher, with so many great achievements in his teaching career, Danijel greatly contributes to learning about effective collaboration. Amelie's Learning Diary abounds with projects Amelie has carried out with her students. Great examples and videos show how she connects her students with peers in other countries and how they collaborate on different projects. 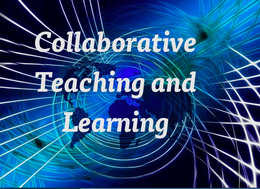 In Collaborative Teaching and Learning by Betina Astride's there are some interesting thoughts about collaboration among teachers from her physical and virtual environments. Sometimes we all feel that these are two separate worlds, especially when our colleagues from the real world show no understanding for our online partnerships (and friendships). Betina also shares her eTwinning experiences. In her diary, you can clearly feel her passion for teaching and learning. I highly recommend Laura Mammoli's Learning Diary - COLAB Course, because she shares excellent resources on collaborative teaching and learning. I especially like the visuals on linking pedagogical activities to spatial settings, the differences between the structures of a traditional and a PBL unit, excellent examples of collaboration rubrics and many others. In her learning diary Teamwork Makes The Dream Work, Astrid Hulsebosch writes about her views of implementing collaborative learning in her classroom. She shares many wonderful examples of activities and projects she has carried out with her students. I especially like Simple Stories Activities, an amazingly beautiful set of digital stories created by her students. Astrid also writes about the importance of teacher collaboration. Andrea Ullrich's Learning Diary Co-lab EU MOOC is an excellent source of useful materials and resources for collaboration, ranging from the Key Competences Framework to learning strategies and tips, spiced up with a plethora of nice tools for online collaboration, such as 102 Free Online Collaboration Tools for Teachers, which we can use to enhance our students' collaborative skills. 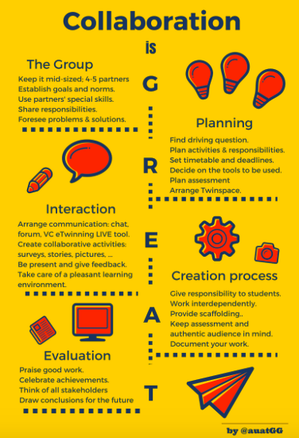 What especially caught my attention was a wonderful infographic about collaboration designed by Andrea herself. I read Andrea's Learning Diary with great interest. Andrea shares examples of collaborative projects that she has carried out with her students and reflects on her teaching practices. Her determination to avoid burnout and maintain a healthy work-life balance and yet keep on innovating and implementing new teaching approaches in her classroom has deeply resonated with me. Stepping away from traditional teaching practices should be done in classes where students appreciate such efforts and are willing to embrace new learnings. 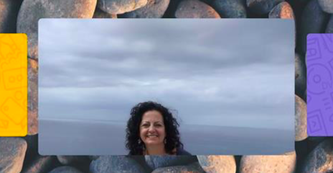 In her learning diary Collaborative Teaching and Learning MOOC, Maria Vasilopoulou shares her thoughts and ideas about collaboration in the classroom. 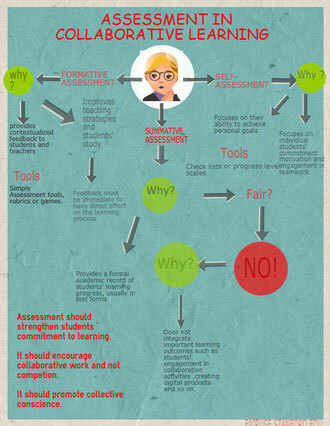 Maria is very creative and and I really like her mind maps and infographics that she has designed, such as this one to the right, Assessment in Collaborative Learning or a 7-Phase Learning Scenario.